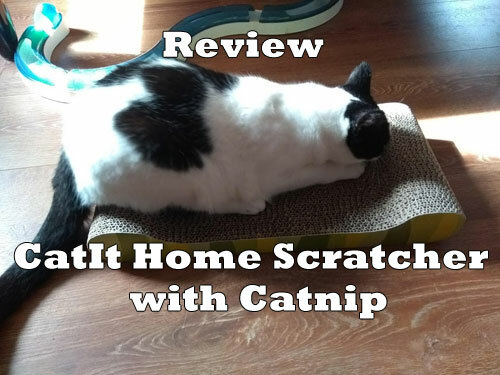 The CatIt Home Scratcher With Catnip is a great scratching tool to keep your cats from scratching your possessions and sharpen their nails on the scratching board instead. The CatIt Home Scratcher is for cats that love to scratch surfaces while keeping their claws sharpened. It is definitely a good idea to install places where your cat can scratch when they are otherwise doing this to your walls with wallpaper or your brand new great looking furniture. 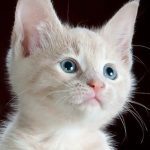 The common problem with their instinctive behaviour and a house without any dedicated scratching places, is that cats will go for the next vertical or horizontal place that suits their scratching needs. Unfortunately for us, cats will naturally go for anything that is either standing up (vertical) such as couches, sofa’s, chairs and walls, or lying on the floor flat (horizontal). Horizontal items such as toys, cork hotplates, carpets and certain clothing will get a good beating. In our household this meant that the walls (with wallpaper) were being scratched to bits, the old textile sofa. Carpets were also a common target. Our solution with the carpets? We simply got rid of them, not only because of the scratching but also because of other unwanted behaviour. We generally have board floors, because they are easier to clean. Anyway, I am digressing. The only solution to redirect this behaviour is by installing dedicated places for your cats to scratch and sharpen their nails at. Out we came with our wallet and we bought some wall scratchers and scratching boards and tools for on the floor. The CatIt Home Scratcher is such system. 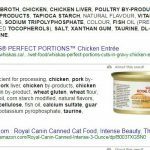 CatIt we know best from our water fountains, but they deliver a great range of high-quality products for the cat household, such as feeders, water fountains, massage stations, interactive toys etc. The CatIt Home Scratcher offers a place to sharpen cats nails, while not being too intrusive in the household. This light carton board made toy can easily be placed elsewhere and will offer plenty of scratching fun for a good while. For a one cat household I would say about a month or two or so for a one cat household (note that we got a household of 5+1 cats at the moment, so it gets used up much faster). The only main side effect of this material, is that it will give some garbage quicker. All scratchers do, because scratching the scratching surface, takes off layers of whatever material they are made off. Naturally cardboard is way easier to break than sisal rope for example. There are many different scratching board units from CatIt in different shapes and sizes. We reviewed here the Jungle-Stripe Lounge. The CatIt Home Scratcher from Amazon is a cardboard scratching unit for your cats that comes with a little bag of catnip. The scratching unit is of adequate size. I have seen our cats lie on top of it, because it is shaped a bit like a bed. In the same time it is also big enough for lying upon or scratching their nails properly. It is slightly in a boat shape, which helps the cat in keeping the unit in place while using it for scratching. The CatIt Home Scratcher is made of layers of cardboard that would be used in boxes and other packing material with the double isolation layer (wave-bubble). This texture makes it nice for cats to sharpen their claws in, because their claws will get slightly stuck in the tiny gaps while scratching the board. The CatIt Home Scratcher comes standard with a small bag of catnip to help the cats get attracted to the scratching board. When you run out of the catnip, you will have to buy additional catnip for your scratching board if your cats do not already automatically use it. We have ourselves a lot of high quality catnip so that other places also get more attractive to them. Cats simply love this herb. Although, maybe I should say most cats. There are cats that do not respond to catnip at all. For those you could try kiwi sticks, which are also known by the name silver vine. That are the branches of the kiwi plant that are attractive to some cats as well. Read more about catnip here. The idea of the catnip is to get the cat used and attracted to using the scratching board for scratching and sharpening purposes instead of your sofa or walls. So far I referred to the CatIt scratching toy as the CatIt Home Scratcher. When you go to Amazon, you will find that there are at least three different models under the same name. In fact, CatIt sells several similar scratching boards made of the same material and on different product listings. It just comes all down to the same type of thing, same type of material and same type of package, catnip included. We got the Jungle Scratcher, which is a type of lounger chair shape with two high sides and a lower mid part. Our cats actually use the Jungle Scratcher more as a bed to sleep on than as a scratcher. Or perhaps they have been scratching it before I found them sleeping or slumbering on it. Under the same page, we also find the Urban Bench and the Animal Print S-Chaise. There is even a listing of CatIt Home Scratcher in the form of a straight box. I also found another one, called the CatIt Style Scratcher Butterfly Chaise and there is even one that fits to the CatIt Senses 2.0 set. Do you have carpets in your house and notice that your cat is using the carpet as a scratching pad? A cat’s nails in carpets can easily do a lot of damage. Suddenly you will find loops and loose ends in your carpet and it can be expensive to repair. There are also solutions for this. There are carpets especially made for cats with sisal rope that they can use for scratching. Now you can redirect that misbehavior to their own little scratching carpet. Q: Is it reversible or single-use only? A: Yes, you can turn the scratcher around and your cat will use the bottom side as top. Q: How long will this scratcher last a cat? A: If you got only one cat, the scratcher will last somewhere between 2-4 months, depending on how crazy the cat goes with the scratcher. With multiple cats, it will of course be quicker used up. Q: What is the size of this device? A: All the Home Scratchers come in different shapes and sizes, but generally they are around 9×16 or 9×19 inches in size. Q: Does it make a lot of mess? A: Naturally, anything that a cat is allowed to destroy is going to make some mess. Even the sisal rope scratching boards will in time release tiny rope particles or even entire strings of rope. So yes, it is going to leave a mess. You have to think about the aspect where your cat potentially scratches your sofa or chair or wall to bits. How much effort and money is it going to take to fix that up again? I would think it is more than the actual cost of cleaning up some residue of a carton scratching board. The CatIt Home Scratcher makes your cat happy and healthy. No longer does your cat scratch your walls or furniture. Your cat will feel at home and have their dedicated place for scratching and even sleeping. Although the home scratcher leaves some residue after a scratching session, it is minimal to the damage that cats can do to your furniture and walls. We have seen a great improvement when we added scratching tools to our household. Cats are now dedicating their scratching behaviour to these places only and no longer or at a minimal amount on unwanted places. It is now also very easy to redirect that misplaced scratching behaviour to the new place. Thanks for your reply. I totally agree. It is way better to use a tool to prevent them from scratching furniture. All the great joys from getting a cat and adding them as a member of the family. It is definitely going to be a lot of fun. For people who are going to get a new cat or just got one, here is a guide on how to make your home cat-safe.